According to the National Institute on Health (NIH), fibromyalgia affects over 5 million U.S. adults and an estimated 3-6% of the world population. While fibromyalgia is most prevalent in women (75-90% of those with fibromyalgia), it also occurs in men and children of all ethnic groups. Some of your clients may suffer from fibromyalgia and you may be an important source for relief. Fitness professionals can effectively work with those who have fibromyalgia providing them with a better quality of life through movement. 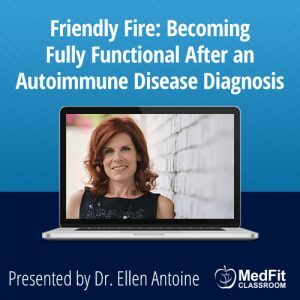 This webinar will provide fundamental information on the anatomy and physiology affected by fibromyalgia, causes of fibromyalgia, signs and symptoms of fibromyalgia, and traditional treatment for fibromyalgia. 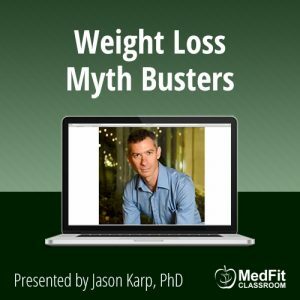 In addition, learn techniques on management of fibromyalgia through exercise. 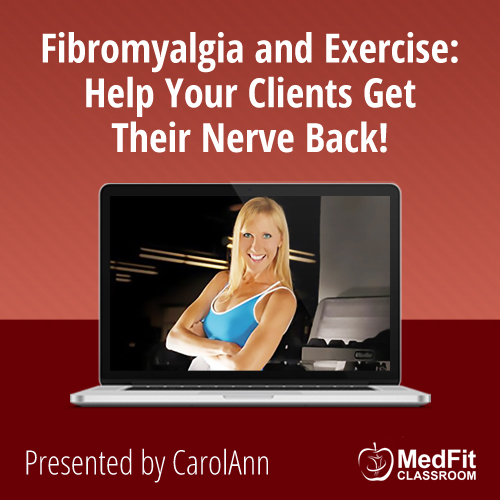 Learn how to design and prescribe a proper exercise program including basic nutrition to improve the quality of life for your clients with fibromyalgia. With progression tracking, your clients can experience a gradual and pleasant growth in their health and fitness status. You as their health and fitness coach can provide a positive experience to facilitate an effective path to better health and wellness.